Struggle with emotions in your trading? Taking a step back and letting numbers and data be the drivers of your decisions can make a huge difference. This is the exact pathway our guest, Sean (in the chatroom, “seantepper”), has chosen to pursue. 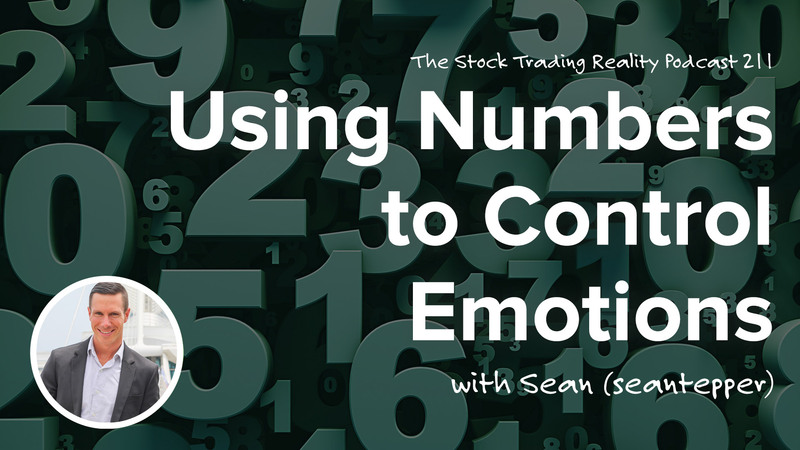 What I found especially fascinating about Sean was his unwavering desire to stay laser-focused on the numbers and nothing else. Oftentimes, there are so many shiny objects floating around that it can be easier to distracted and pulled off our target goals, but for Sean, he’s like an iron trap clamped onto the data. This brings up a few areas of gray that he and I discuss to better position himself, but all in all, there is a lot that can be learned from his mindset and approach. Let’s get to it! Today we talk with community member Sean who rarely has time to hang out in the Inner Circle based on his current job. Coming from the tech world, Sean recognized he needed to focus on educating himself first rather than just blindly throwing money into the market. Sean utilizes Excel Spreadsheets to quantify if an option is worth buying. He sets alerts so that throughout the day he can take action if required. This sheet helps him analyze opportunities in about 30 seconds per stock which allows him some time in the morning to make decisions. While he is still focusing on paper trading, the gains in that account do not matter to him. Paper trading is to build good habits and give himself the best odds for success by having a historical record. Sean realizes that he can over-engineer this spreadsheet until the end of time but sometimes the market does what the market does… it has an element of randomness to it. This has led to some big wins and big losses but he recognizes that those events happen now and again. His key focus is the trend of his system. I wanted to learn ‘true value investing’ like Warren Buffett and Charlie Munger but I ran into your courses first. If you move forward with uncalculated risk, you’re just gambling. I went through 5 stocks and each one was disqualified. Each one would lose money for me based on previous tests. There are no emotions. It’s just really leveraging data to make decisions for me. You look at the trends of why you’re losing and winning and see the correlations. It just takes practice. Focus on the discipline and the money will follow. Also, please leave an honest review for The Stock Trading Reality Podcast on iTunes! Ratings and reviews are extremely helpful and greatly appreciated! They do matter in the rankings of the show, and I read each and every one of them. If you are having trouble leaving a review with iTunes please follow instructions found HERE. If you have any questions regarding any of my premium training courses, stock trading chat room (the Inner Circle), or my private mentorship program (the ClayTrader University) please contant me today via email or phone.